How do a fish navigate at sea? 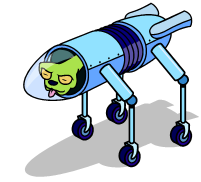 Well, the answer to this question helps researchers to make marine robots intelligent enough to navigate at sea. Fish and many amphibian animals navigate at sea with their sensory system called as Lateral Line System. 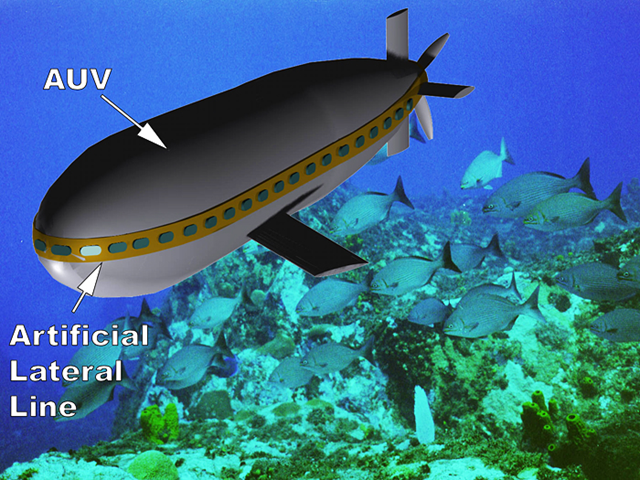 Research is in progress to apply this sensory system of the fish to Autonomous Underwater Vehicles (AUV) to make them intelligent to navigate at sea. What is Lateral Line System? Most of the fishes and aquatic amphibians, have a sensor called lateral line system to detect differences in water pressure. 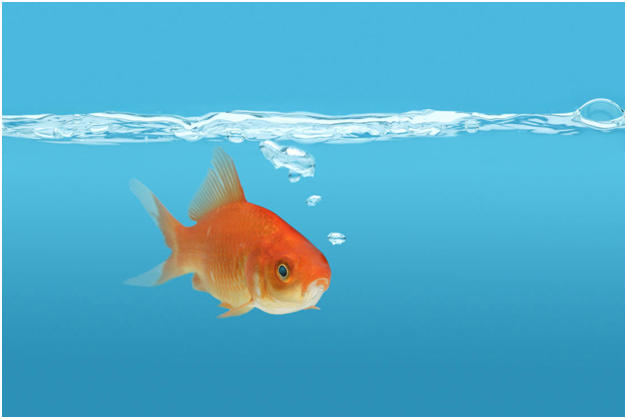 Fish senses this water pressure difference which may be caused due to varying depth of sea or turbulence/currents caused by other approaching fishes or objects. 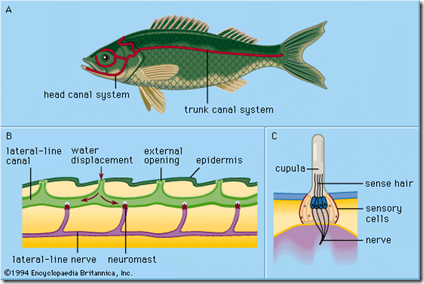 The lateral line system is made up of two water filled canals and number of nueromasts as shown in the sketch below.The nueromasts of the fish continuously transmit series of nerve impulses depending on the surrounding water pressure difference and the fish is able to identify or recognise nearby objects such as other fishes of different size, rocks, ship etc. The lateral line system is also able to detect very low-frequency sounds of 100 Hz or less as basically sound waves are pressure waves in water. 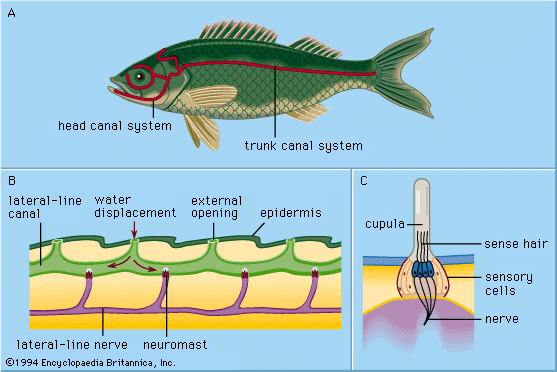 Lateral-line system of a fish. (A) Bodily location of lateral lines; (B) longitudinal section of a canal; (C) superficial neuromast. 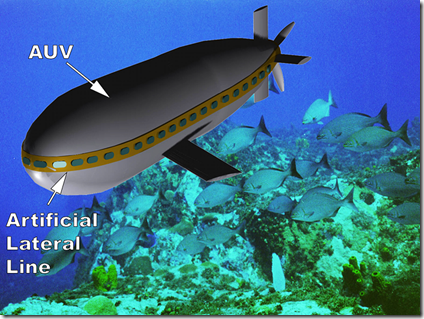 Based on this lateral line system of fishes, artificial lateral line system is being developed to use in AUVs. View a amazing video of a Robot Fish.